Just for grins, let’s say that you read about the best burglary deterrents to use for your home and saw that cameras are THE MOST EFFECTIVE deterrent when criminals are choosing a target. A whopping 57% of surveyed, convicted burglars said that they would walk away from a house with cameras installed. Done. Threat eliminated. Outdoor cameras are an obvious, visible deterrent to burglars. If you throw a camera in a window inside, a burglar may not even notice it until he has already chosen your house as a target. That, of course, assumes you haven’t plastered supplemental signage up outside your home (I know, tacky right?). Barring all of that, if you’re still considering an indoor camera, please read on. Or alternatively titled, “Just Don’t, Please Don’t“. I’ve long since lost count of the number of times somebody has mentioned that they were shopping for a cameras to cover their driveway or front yard and planned to buy indoor instead of outdoor home security cameras. 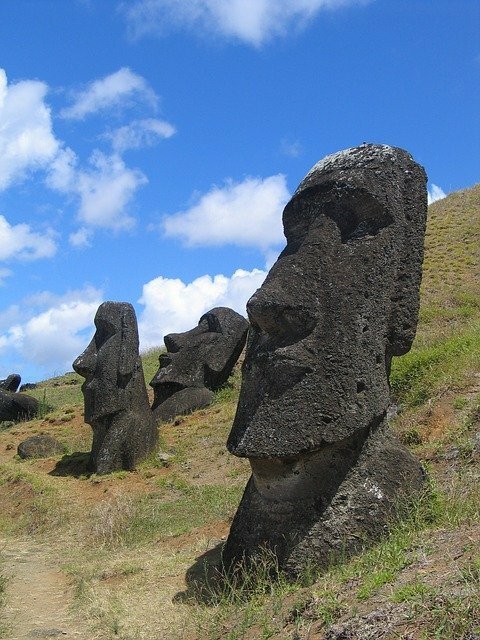 I had to stop slapping my forehead for fear that I might start to look like some of the heads on Easter Island. If you have a standard or night vision camera pointed through your window to see things outside at night and don’t have enough exterior lighting (it can visible or infrared) to make it look like its daytime, then you’re going to be disappointed with the results. Go ahead and visit our page to help you compare surveillance cameras and use the filters to look for outdoor cameras to do the job correctly the first time. They really aren’t that much more expensive! Here, I’ll hold your hand with a video. I promise, it’s really quick. 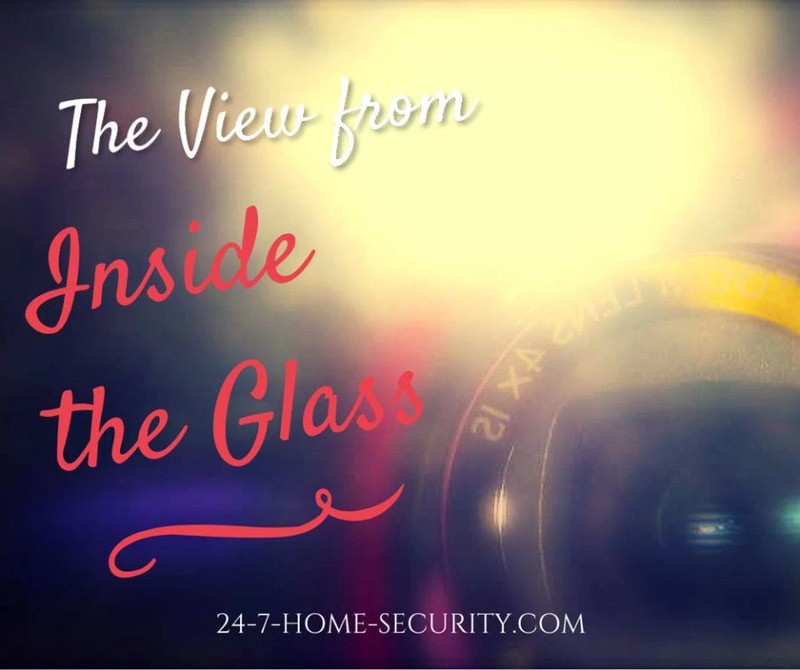 The light from the infrared LEDs that provide night vision illumination for home security cameras is going to reflect off of the glass, and you’ll see a nasty reflection or glare. That makes it a little hard to make out faces and license plates, which you’ll need to give to the cops to have any hope of catching someone. Heard someone with this idea before? If you see someone asking about pointing their Dropcam out the front window on Facebook or reddit, feel free to use this post to deflate their balloon. After all, it’s for their own good. FIGHTING STUPID ONE SHARE AT A TIME . . .
WHAT ABOUT ANTI-GLARE WINDOW FILM TO REDUCE GLARE FROM A SECURITY CAMERA? The problem is the windows reflect IR. If you add a sheet of film on top of the window, it may ease the transition to the window so that less light reflects back into the camera. But, you’re not really solving the problem. If you insist on installing the camera inside, you COULD install special IR glass that is transparent to the light. But, that’s going to be more expensive than just buying an outdoor camera. Or, just disable the IR LEDs and purchase an external IR illuminator. Install external infrared illuminators or visible light. Some of you are trying to talk to the computer, “But, but, but . . . [waah waah wa wa waah waaah]!” (that’s from Charlie Brown in case you didn’t get it). OK, I will readily admit that there are a few specialized situations when an indoor camera would be suitable looking outdoors. If the ONLY thing that you’ll EVER want to see from the camera happens during the day, then go ahead and buy an indoor camera. Just make sure you know how to be an educated security camera shopper and account for the other pitfalls that you can fall into when purchasing a home security camera. And NEVER forget, that you can’t complain when you can’t make out the face of the guy that kicked your front door in at dusk after it happens. After all, you assessed the risk and chose to save a few bucks and accept it. The other option to avoid glare when looking out of a window is to block or disable (electrical tape or some cameras have software disable settings) the IR lights that may be (probably are) on the camera. Then, you will need to add equivalent or better lighting outside the window to illuminate the area of interest. You can install flood lights or another type of visible light, but the neighbors may not like you shining a light across the street at their house just to illuminate the side walk. Or, you can buy IR illuminators to mount outside. These can also be a good supplement to your camera lighting even if you decide to buy an outdoor light. Here is a review of an illuminator from a reputable site. Hopefully, nobody’s crying after that tirade. I tried to be clear about why you’ll likely expect more from your camera installation after you install it than just the 1 reason you’re getting it now. So, it pays to think ahead and plan for an installation that you’ll be happy with (and will protect your family) for years to come and in all conditions. After all, that kind of longevity is worth the extra $30-50 bucks you might pay for a good outdoor camera.